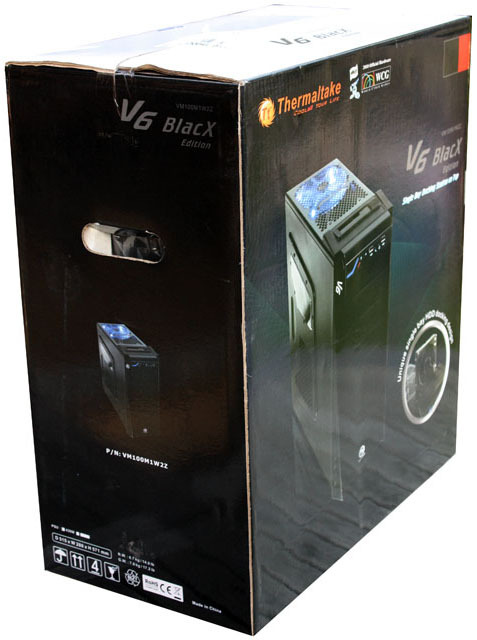 ThermalTake recently released the V6 BlacX Edition (VM100M1W2Z), one of the first budget gaming cases with a top-mounted single-bay docking station for 2.5" and 3.5" SATA disks. These type of docks easily cost $35 or more so getting it as a feature of a $69 case sounds like a pretty nice deal. 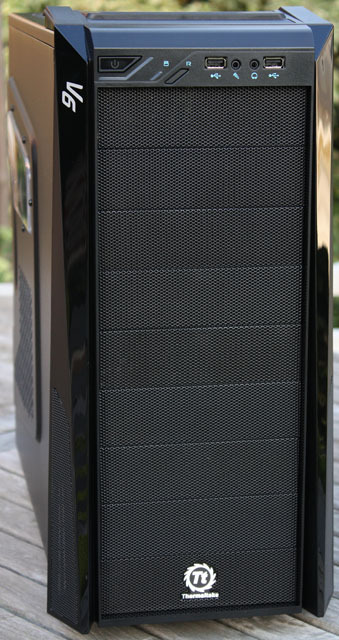 The V6 BlacX is a mid-tower case with an all-black design, the case has a small case window and comes with two fans pre-installed. The case measures 460mm x 220mm x 490mm and weighs 6.7kg, making it a nice companion for LAN parties if you don't want to carry around big heavy cases and don't like having a mini-PC. The case ships in a cardboard box, it's protected by two large blocks of foam and a plastic bag to prevent damage and scratches during shipping. 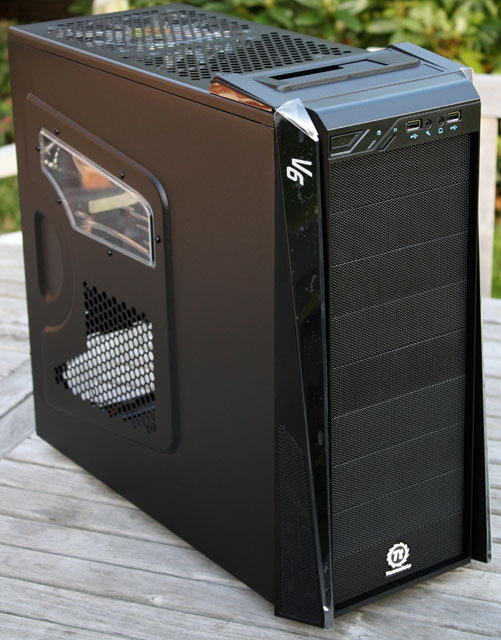 ThermalTake created a quite open case, all of the front bays are covered with metallic mesh plates, most of the top panel is covered with honeycomb-like mesh and there's also a vent in the left side panel. Except the edges, most of the front is made out of metal. 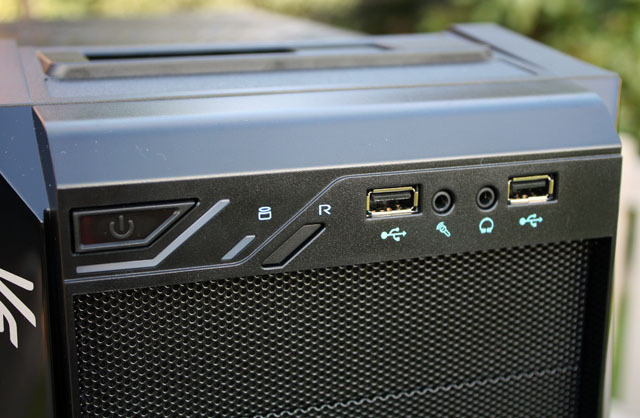 ThermalTake's logo can be found on the bottommost bay cover, the plastic "side wings" feature some additional vents to provide air to the optional 120mm intake fan, and the top I/O panel is also made out of plastic. The left section of the I/O panel contains the power button, a blue power on LED, a red HDD status LED and a reset button. The reset button is depressed and because of it's tiny size it may be hard to reach if you have large fingers. On the right side you can see two USB 2.0 ports and audio connectors. Unfortunately, the case doesn't support USB 3.0, FireWire, nor eSATA.